Understanding Philippines weather can meet your simple-to-elegant travel measures. Its dynamics of wet or dry season has more tidings if you choose it… wherever you are in Luzon, Visayas or Mindanao. The Philippines weather system submits to the global body of knowledge on weather. It has its own Filipino character though, but it does not digress from the global standards. Philippines history would show that Filipinos in older generations simply interpreted weather by the twin terms of Amihan and Habagat. They knew the seasonal shifts by just marking wind direction. When the prevailing winds come from the east, they called it Amihan. When winds emanate from the west, they called it Habagat. 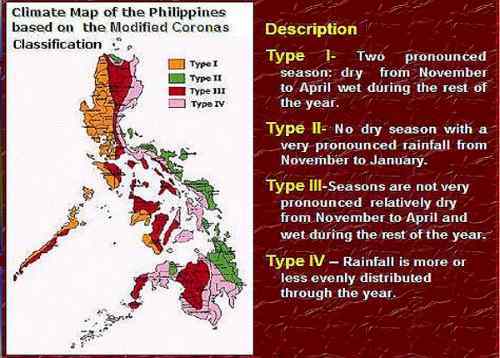 The Amihan(northeast monsoon) occurs in November-April… it’s the dry season for the most part. It’s the tourist season. The Habagat(southwest monsoon) occurs in May-October… it’s the wet season for the most part. It’s the typhoon season. Understanding Amihan or Habagat can help you decide to see, live or invest in the Philippines. The country’s official weather authority is called PAGASA. It’s an acronym for Philippine Atmospheric, Geophysical and Astronomical Services Philippines. It monitors and manages weather pronouncements in the Philippines. PAGASA updates data and information about current weather Philippines. The Philippines’ climate has 2 seasons… wet and dry, or Amihan and Habagat. It’s rainy in June-November. It’s dry in December-May. It’s cool and dry during October-February. And it’s hot in March-May with Flores de Mayo at hand. You can draw the most advantages of seeing, residing or doing business in the country during the dry months. The country's annual average temperature is 26.6°C. Humidity hovers at 71-85%. The coolest month is January with 25.5°C temperature… warmest is May at 28.3°Celsius. Highland areas are cooler than the lowlands. 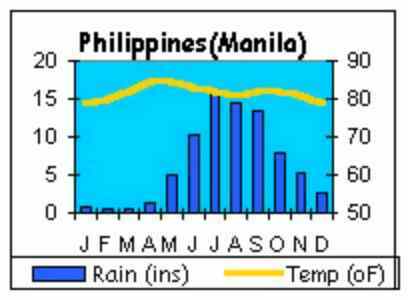 Eastern Philippines experience year-round rainfall. 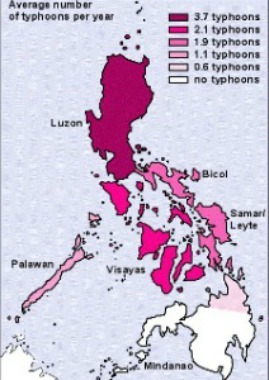 There are 21-23 typhoons that hit country each year. Most typhoons come from the Eastern Pacific… a few from the China sea. December-May – This interval is hot… it’s the dry season. There are occasional showers in the afternoons which people love. The March-May period is the hottest… the best time to go to beaches and water resorts. You can best see the country side on this period. The prevailing wind in this period is the Amihan, which comes from the east. The Amihan is a favorite female character in stories portraying the Filipino culture. June-November - This period is rainy… it’s the wet season, it’s the typhoon regime. 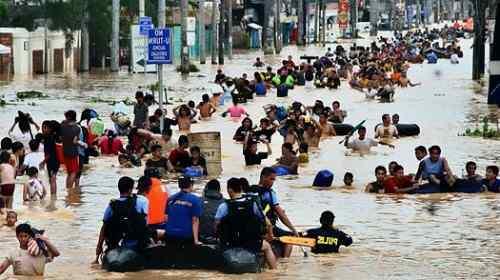 During this period, an average of 21 typhoons hit the country. A few times, it reaches 23. Typhoons in November are much less and when they come… they are really ugly and very destructive. The prevailing wind in this period is the Habagat, which comes from the west. High temperature and high humidity are signatures of Philippine weather. It’s cool and dry in December-February… part of the dry semester. The eastern part of the country is the most rain-soaked year round. The rains there are heavy, frequent and longer. PAGASA is the country’s official weather authority. From them, Philippine media obtain weather bulletins that eventually reach the populace. For the internet users, online reports are all there for grabs. Understanding Philippines weather can meet your simple-to-elegant travel measures. Its dynamics of wet or dry season has more tidings if you choose it wherever you are in Luzon, Visayas or Mindanao. Grasping Amihan or Habagat can help you decide to see, live or invest in the Philippines.